WOOD Makes Music!™ is a marimba-making experiential craft activity designed to introduce participants to the sonorous properties of wood and the application of specialized information (knowledge) to construct a musical instrument. The activity of construction is intentionally designed to show process and how art is easily integrated into science and how science is naturally integrated into the art. infusing the sociology of music and world cultures. WOOD Makes Music!™ is also a fun and engaging way to introduce and/or review various content and subject matter e.g. math concepts; the science of sound; wood types; ecology; conservation; world cultures and musical explorations in rhythm and ensemble music-making. WOOD Makes Music!™ promotes and supports GREEN initiatives by using recycled materials along with the store bought items. Students/participants are not subject to being harmed by hammering and nails as they are not needed or used for this particular teaching unit and lesson plan. Residencies of at least 3 days are suggested for schools and hosts interested in developing a teaching unit with a WOOD Makes Music!™component in mind. The residency will include creating core-groups of students to play the marimbas they assist in constructing and for ensemble performances throughout the life of the residency. 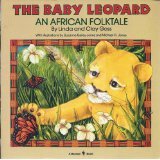 Hear the joyous sounds and rhythms of a WOOD Makes Music!™ marimba by listening to The Baby Leopard, by Linda Goss, an audio-book/cassette published by Bantum Doubleday Books. Learn how WOOD Makes Music came to be. . . .